Tag Archive | "Supply chain"
The European Commission is to investigate several German VMs including BMW, Porsche, Daimler and VAG group over claims that the brands formed a ‘cartel’ to fix the price of a number of components from suppliers – including parts relating to the emissions systems. An interesting detail is the allegation that the VMs colluded to deliberately make AdBlue tanks to be small in size, although it is not yet clear if there could be any competitive advantage in this detail as the effectiveness of the system is not affected by the size of the tank. VW has confirmed that it has held a board meeting about the issue, but has declined to give any further details. 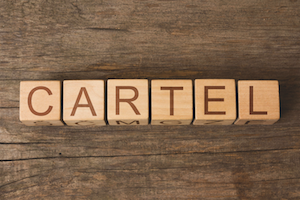 The OE parts industry has been hit with a number of cartel fines in recent years, with some bearing and A/C hardware manufacturers admitting their part. Business magazine, Forbes has speculated that the latest scandal could turn into a ‘rat out race’ between VMs, as each might want to become a whistle-blower in order to escape the largest fine. This is backed up by cartel meeting minutes, apparently seen by Germany’s Der Spiegel newspaper which suggested that Daimler may have been cooperating with the authorities since 2014. 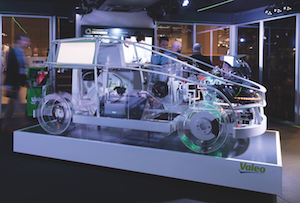 This year’s Automechanika Birmingham show attracted over 800 exhibitors and 12,000 visitors including garages, motor factors and parts retailers. 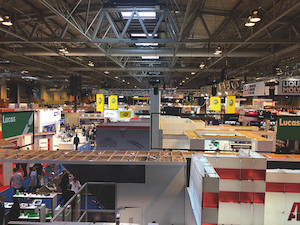 With the extra hall space and longer opening hours meant aftermarket professionals had more opportunities to discover new technology, learn new skills and network with other industry experts. For those who missed out can watch show highlights in the video below and get a sneak peak into the third edition taking place next year. The question of how to grow a business is one that has perplexed many for generations, namely: organic growth or acquisitive growth? It makes no odds which route is taken, the end goal is the same – greater profitability. 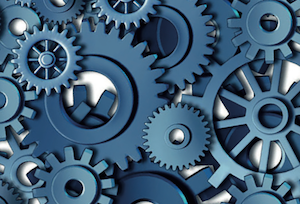 Acquisitions seem to be in vogue for the aftermarket at the moment. 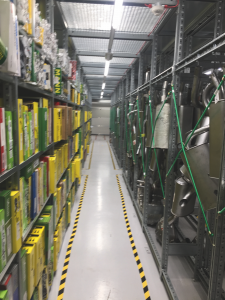 You’ve probably already read in this issue that Canadian parts giant Uni-Select has acquired The Parts Alliance, which has itself been on the lookout for smaller factors to buy. 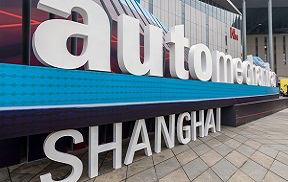 GroupAuto’s parent company AAG has made numerous acquisitions in the past year, including FPS and LKQ’s attempted tie-up between ECP and Andrew Page has attracted the attention of the Competitions and Market’s Authority, for which we await the decision in November. There’s nothing wrong with organic growth, it’s just that it takes time. And compared to setting up a new unit from scratch acquisition takes less time, resources and finance that many firms struggle to provide. So how should firms acquire? What are the issues to be aware of? Understanding what is being bought is key. Although acquirers will usually be able to obtain warranties (think guarantees) from shareholders, there is no substitute for extensively checking the detail of the transaction through “due diligence.” The process falls into three distinct areas – legal which will be handled by lawyers; financial and tax which will be dealt with by accountants; and commercial which falls to the acquirer. If any skeletons in the cupboard are identified, these can be turned into indemnities and, as such, the risk stays with the vendors. But while due diligence is important, desktop research should be completed before any approach is made along with market and commercial due diligence. Research is much easier nowadays as so much information is available in the public domain through Companies House, online databases, the web, and other information gained discreetly through industry sources. But remember, financial information can be months out of date and cannot be relied upon to give an accurate view of a firm’s financial health. Skimping here will mean the acquirer will have no idea about the veracity of what they are being told. Acquirers need to recognise that buying the assets of a firm is one thing, but businesses also come with staff already employed and they must get along with the acquirer’s own employees. There are countless examples where mergers and acquisitions have failed because of culture clash – Daimler and Chrysler, AOL and Time Warner, HP and Compaq. Culture is something that should be looked at closely; compatibility is one of the key requirements. Inevitably there is a learning curve following acquisition, but many find that due diligence meetings usually indicate if the businesses can adapt. Others suggest looking at the top to board level for clues on possible culture issues. Of course, some businesses are bought when they are in trouble and here the purchaser should be particularly cautious. Firms in trouble often find themselves the target of creditors who can apply pressure; this must be considered when arriving at a valuation. A question to ask is what is the reason for the decline? Is it the loss of a major client or a bad debt? Is the firm out of step with the market and unable to compete? Can the decline be reversed? Some buyers choose to wait until the target goes into a formal insolvency process before making an offer to the administrator or liquidator when the price the target can be acquired at should be considerably lower. But there is a warning – there will be no warranties and the acquisition will be on a ‘buyer beware basis’. Buying a business from an administrator is risky; their job is not to help the buyer but to realise the greatest possible value for the creditors. It’s important to also look out for Crown debt arrears such as PAYE and VAT. If these exist a time to pay arrangement is crucial if a rescue is to be completed. But buying a failed firm may mean that existing customers may lack confidence in the business. Similarly, creditors who would have suffered due to the business failure – will be wary too. Acquisitions involve significant costs and many are not insignificant. Purchasers should budget for the corporate finance finder’s fee, accountant’s costs, legal fees (legal drafting, due diligence and deal completion matters), insurance warranty payments and costs allied with any associated funding. These can be over 10% of the purchase price. Also, buyers should not ignore property and any stamp duty that is payable. And just as importantly is the hidden cost of the Transfer of Undertakings (Protection of Employment) Regulations 2006 – TUPE – which crystallises if there is a staff restructure following the takeover. Employees involved in a business acquisition can sometimes have a significant level of protection under TUPE – which in practice means that dismissing employees following an acquisition can be restricted or costly. Acquirers also need to consider any changes that have to be made to accommodate staff with disability issues. There’s also the threat of loss of business due to change of control, changing relationships and the possible loss of key staff following the takeover. But these can be managed by having close liaison with customers and offering staff revised employment contracts that come with incentives. Further, existing contracts and arrangements will need to be honoured once the former management leaves. But there is one more expense that is harder to quantify – time. It is important to make sure that the acquisition doesn’t become a huge distraction and the underlying business is not neglected. An acquisition is not for the faint hearted – acquirers should consider if they are better off focusing energy on organic growth or proceed ahead by taking a larger risk with an acquisition. The adage that “people buy people” applies to staff as much as it does to the seller and customer relationship. Ignoring and potential staffing and culture issue can do more damage than any over-valuation. Lookers PLC took the decision to sell FPS Distribution, BTN Turbo and Apec Braking to Alliance Automotive Group (AAG) in 2016. American recycled parts firm LKQ Corporation acquired Euro Car Parts in 2011 after months of rumour and speculation around the aftermarket (much of it incorrect). More recently, LKQ has acquired Arleigh International, a large distributor of touring and leisure products. In 1973 Burmah Oil acquired Quinton Hazell ltd from the man of the same name. Hazell didn’t take to working as part of a large corporation and took a stake in the Supra Group, where he started competing against his former company. ZF and TRW came together in 2016, though Helmut Ernst, CEO of ZF was keen to stress to CAT that TRW as a brand was ‘an asset that would remain’. Cash and carry chain Maccess was sold in 1999 in an MBO valued at £68m. It was a rare example of then-parent Finelist selling a company for profit. Finelist Group collapsed in 2001 while Maccess lasted until 2015 before it ran out of ‘time and customers’ according to the then owner Tetrosyl. 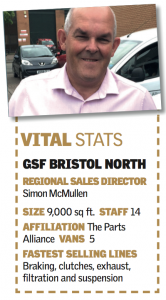 Simon McMullen takes us around GSF’s new Bristol North branch. A number of factor chains have expanded their networks recently. One in particular was GSF’s Bristol North branch, which opened three months ago. We decided to drop by the firm’s latest addition to see how business has taken off since the launch. The first thing you need to know about Bristol North is that it is the third branch in that city, with the other two known as South and Central respectively. However, these branches are not a house divided, but that the three branches function effectively as one location and with a single manager, but are able to put in to reach wider across the city than would be possible from one location. In terms of logistics, Bristol South is the regional hub, supplying North and Central as well as various branches across West England and South Wales with stock. Area Manager Mark Donovan notes that the system has been designed so stock is quickly replenished across the business. “Bristol North is supported by the two other locations so they can keep what we can’t keep. We have an hourly van going backwards and forwards to bring stock to and from other sites”. Inside, the reception looks like a modern car accessory shop, rather than a trade factor’s satellite store with a variety of car care products for retail customers. The sales and front-of-house team appeared polite and busy while they dealt with customer queries both face-to-face and over the phone. 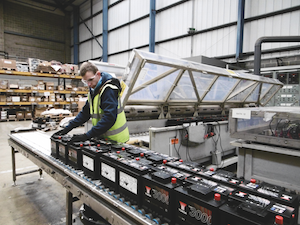 “Both the independent motor trade and national accounts business proved very successful within the first six to seven Weeks of opening” explained Simon McMullen, Regional Sales Director, who also joined us on our visit. “We mainly opened this branch for logistical purposes as we found there was a big avenue of customers we could service in the area” he said, adding that the M5 motorway access has helped facilitate this. The store delivers within a 15-mile radius across its network of delivery vans and is looking to add motorcycles to the fleet. Situated at the Aztec Business Park, the new 9,000sq ft. branch employs 14 staff and includes a mezzanine floor, stocking a range of fast selling lines. Braking and service items are a few of many wares occupying the upstairs space, supplied by reputable brands including Valeo, Bosch and braking brand TRW. 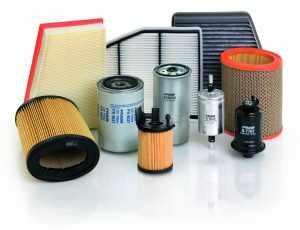 The ground floor is home to LuK clutches, Banner Batteries as well as exhaust silencers hanging up neatly in single file. With bulks of stock being delivered to and from its neighbouring sites, we were keen to find out how the firm keeps track of purchases and customer orders. “We have our in-house system called EDP, a tool for stock management and sales,” McMullen replied. 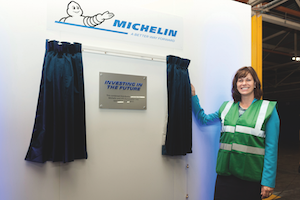 “This allows us to go back to our stock hubs in Birmingham. If you have an item that doesn’t sell in a recognised period of time, EDP recognises it and withdraws the product from the branch in question, bringing it back to the central branch where it is distributed nationally”. Staff working the night shift can expect an overnight delivery from GSF’s Birmingham hub, followed by three more deliveries via its regional distribution centre throughout the day. To take on this task, the team receive enrolment and ongoing training to control stock entering and leaving the premises. Similar to the Snap-on tool van concept, McMullen highlights that GSF’s kitted out tool vans have proved a hit in this area where staff will travel to local businesses and demonstrate their latest offerings to garages, while picking up leads for MOT bays, four post lifts and diagnostic equipment. “We treat all our customers as people and not account numbers”, said McMullen. “It is important that we always try to build positive and long-term relationships with them”. Reflecting on his employees progress so far, McMullen, said. “I’m very proud of the guys and what we have achieved here. We spent countless hours painting, decorating and putting stock away before the launch of this store. It’s been a general team effort and I can’t thank everyone enough”. Both McMullen and Donovan are now aiming to bring Bristol North up to the same success of its brother and sister sites and is considering to acquire a fourth store in the city. The branch will continue rolling out new product lines as it continues to grow within the GSF group. We look forward to catching up with the team and potentially visiting another Bristol store in the near future.